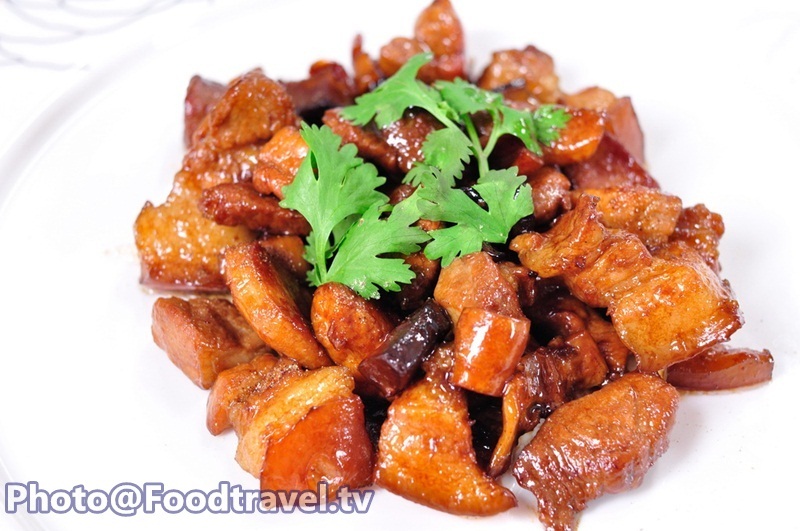 Bake Pork in Soy Sauce (Ba - Theng Pork) - Ba - Theng Pork or Bake Pork in Soy Sauce, The Chinese side dish that you can eat together with many menus. It is very soft and delicious. 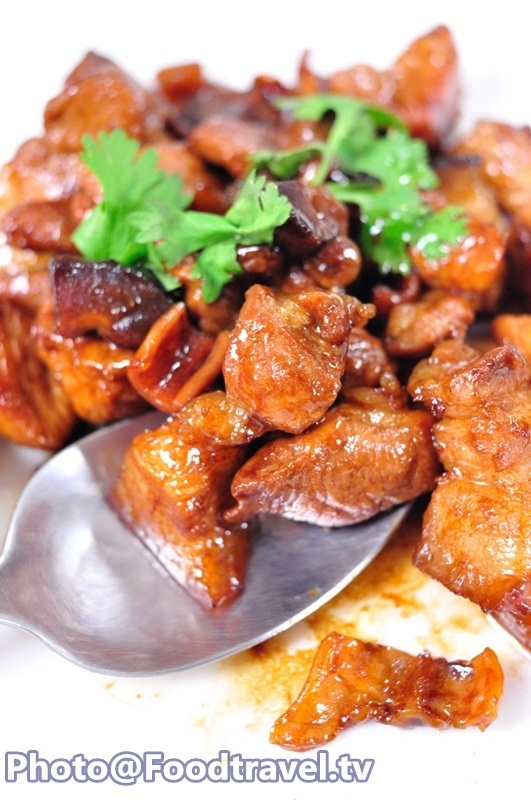 The smell and flavor of soy sauce from the pork is so good. 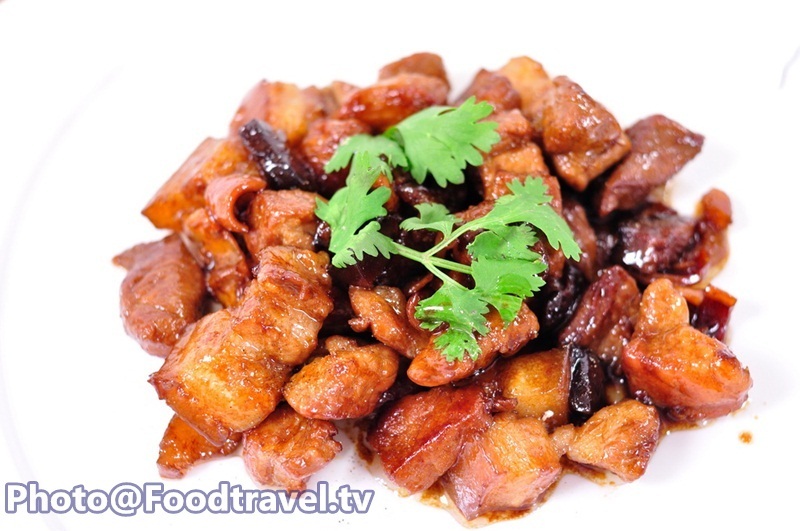 Bake Pork in Soy Sauce (Ba-Theng Pork) - Ba-Theng Pork or Bake Pork in Soy Sauce, The Chinese side dish that you can eat together with many menus. It is very soft and delicious. 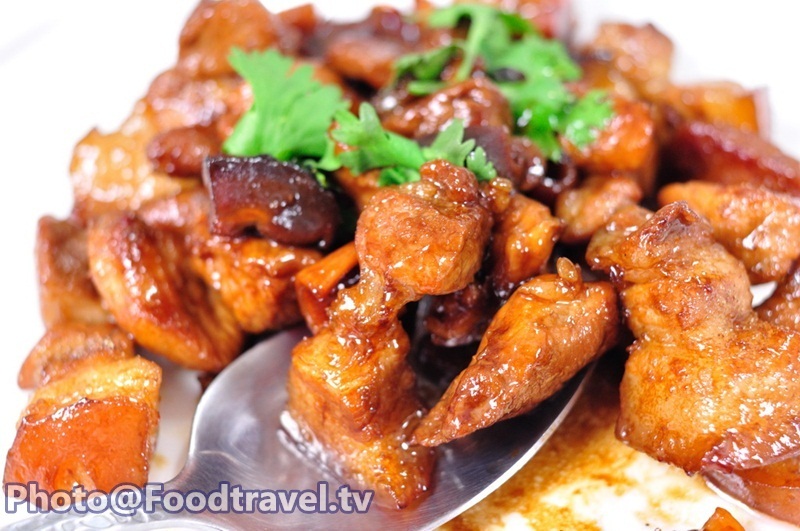 The smell and flavor of soy sauce from the pork is so good. 1. 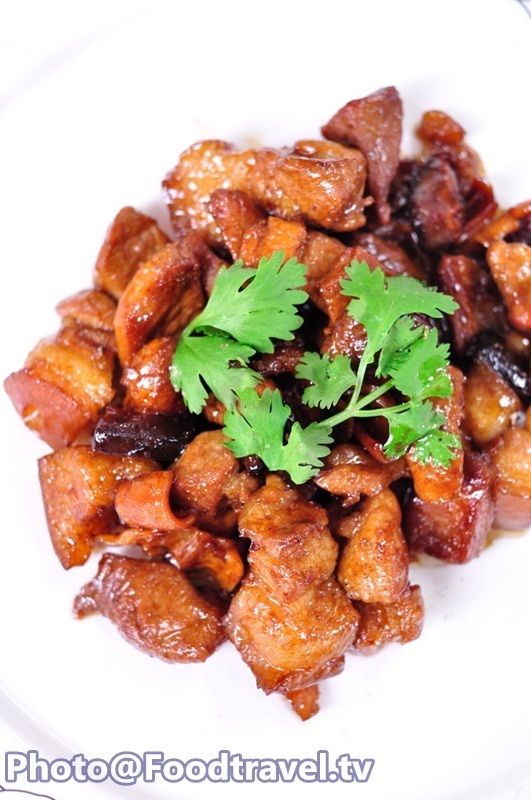 Sliced pork, dried squid, and dried mushrooms into small dice. 2. Heat the pan. Add oil, and then fry garlic. 3. 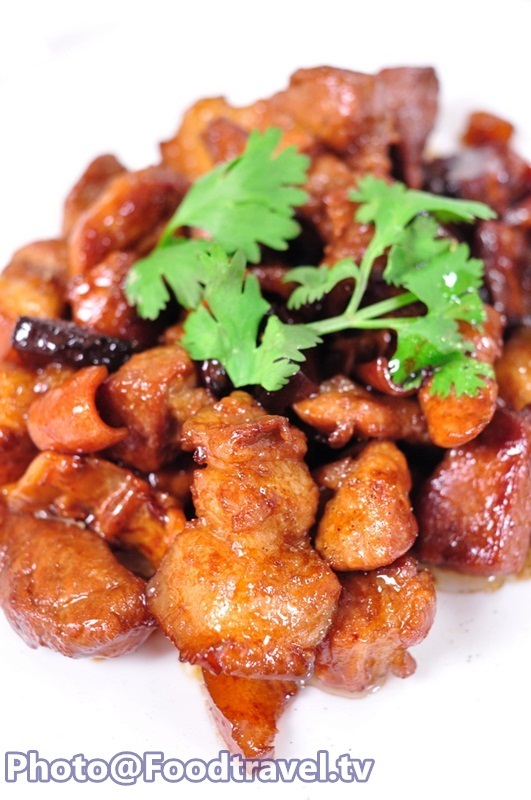 Add pork, squid, dried shrimp, and mushrooms. Fry them together. 4. 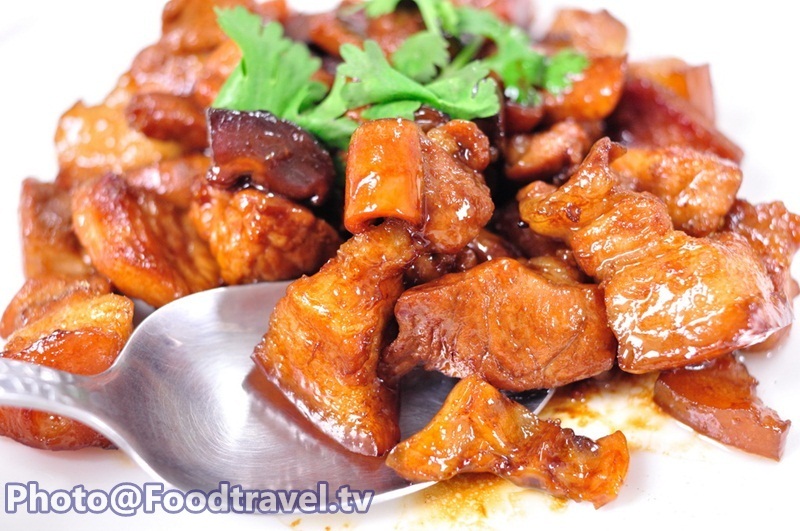 Season with oyster sauce, soy sauce, black soy sauce, ground pepper and pour the soup. Stir thoroughly. 5. Set over low heat for a few minutes until dry out and tender. 6. Serve on a plate. Garnish with coriander. 1. 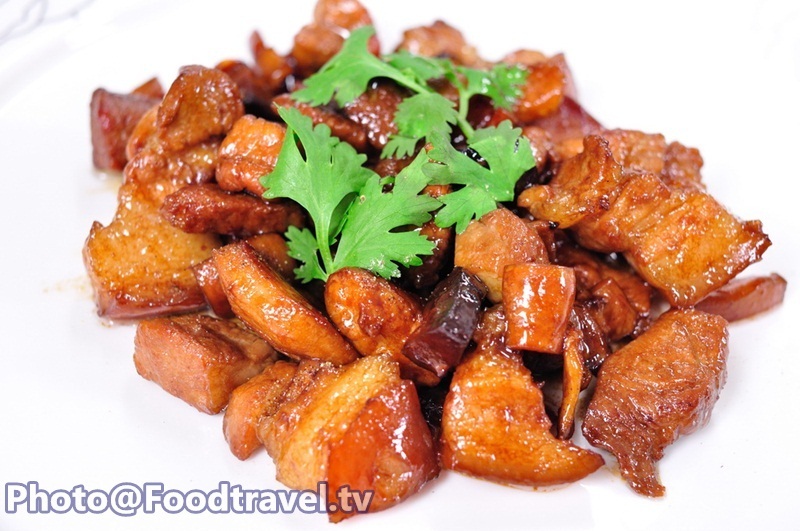 Choose pork hip with red meat and fat will be delicious. 2. Salty taste much than sweet, but not spicy. 3. 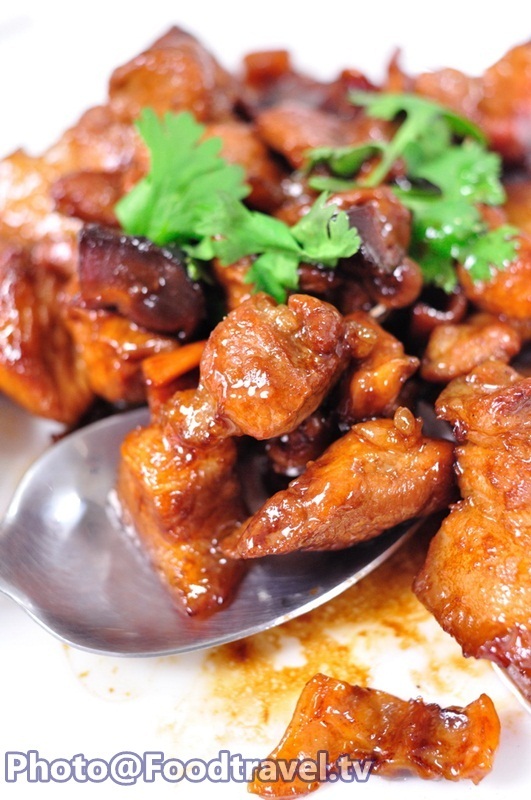 Choose great quality soy sauce is an important part for nice smell after cooking.